Biodiesel Disc Centrifuge Separator - Biodiesel Solutions – Biodiesel Machinery Equipment Projects. Biodiesel disc centrifuge has advantages such as high speed, stable operation, closed inlet and outlet systems, low noise, good separation effect, etc. Centripetal pump system has features including stable output pressure, large adjusting range, convenient operation, and so forth. 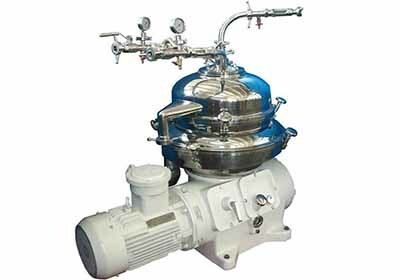 The machine is widely used in degumming, desoponificating, washing, glycerine separating and other techniques in biodiesel.